If you want the sharpest vision possible after laser vision correction, a procedure you definitely should consider is custom wavefront LASIK. Here are key things you should know about this advanced form of LASIK surgery. What Is Custom Wavefront LASIK? Custom wavefront LASIK — also called "custom LASIK" or "wavefront LASIK" — adds a greater degree of precision and personalization to LASIK vision correction surgery by using advanced wavefront technology to evaluate the unique characteristics of your eyes. Conventional LASIK surgery attempts to recreate the vision correction that your eyeglass prescription provides. But eyeglass prescriptions are not unique — thousands, even millions, of people can have the same eyeglass prescription. And because of unique characteristics of each person's eyes that cannot be measured with the conventional technology used to determine refractive error during an eye exam, people who have the same eyeglasses prescription will see the world with different degrees of clarity with those same prescription lenses. 1. Custom wavefront LASIK is more precise. During a routine eye exam, your doctor will introduce different lenses in front of your eyes while you are looking at an eye chart and ask, "Which lens makes the letters look clearer — lens 1 or lens 2?" Sometimes the lenses will look the same, and it's hard to choose which one makes the chart look clearer. Maybe a lens in between the two? (D). This is why your eyeglass prescription has numbers like -1.25 D and -1.50 D, but not 1.3 D.
With custom wavefront LASIK, the power of lenses required to correct your vision is measured in 0.01 D units. In other words, imagine if during your eye exam, instead of having just "lens 1" and "lens 2" to choose from, you had 24 additional lenses in between these two to choose from! Thankfully, choosing the lens that most accurately corrects your vision for a custom LASIK procedure is done instantaneously by a computer, instead of making you decide. So, by evaluating the refractive errors of your eyes in 0.01 D increments (instead of 0.25 D increments, as in a routine eye exam), measurements used for custom wavefront LASIK are 25 times more precise than lens powers used in an eyeglasses prescription. 2. Custom wavefront LASIK is more specific. What does this mean? When your doctor is determining your eyeglass prescription during your eye exam, he or she is evaluating your eye's ability to focus light as a unified whole. One lens prescription is determined for your entire eye. In addition to the much greater precision of measurements taken for custom LASIK, these measurements are gathered from hundreds of separate reference points on the front surface of the eye. All these data are gathered and used to create a detailed map of the refractive error and focusing imperfections called higher-order aberrations across the entire cornea, and then used to program the laser to deliver a 100 percent personalized vision correction for your specific needs. Wavefront-guided LASIK. This procedure uses detailed, wavefront-generated measurements of how light waves travel through your eyes and fall upon the retina, to create a laser treatment that is completely personalized for your eye anatomy and vision correction needs. In addition to correcting nearsightedness, farsightedness and astigmatism, wavefront-guided LASIK reduces irregular higher-order aberrations that can reduce visual clarity even after all major refractive errors are corrected. -approved for use in the United States include: iDesign Advanced CustomVue LASIK System (Abbott Medical Optics); WaveScan System CustomVue LASIK (Abbott Medical Optics); and Technolas 217z Zyoptix System for Personalized Vision Correction (Bausch + Lomb). Wavefront-optimized LASIK. This procedure uses detailed measurements of the curvature of the front surface of your eye to preserve the natural aspheric shape of your cornea. Preserving the cornea's natural shape reduces the risk of a particular type of higher-order aberration called spherical aberration, which can occur naturally in an eye or can be caused by other types of laser vision correction procedures. Spherical aberration often causes halos around lights and other night vision problems. FDA-approved wavefront-optimized LASIK systems include the WaveLight Allegretto Wave Eye-Q Excimer Laser System (Alcon). Topography-guided LASIK. This procedure uses detailed measurements of the surface of the cornea to program the laser to address vision problems caused by corneal irregularities (including corneal scars) in addition to refractive errors. Topography-guided LASIK is not a wavefront LASIK procedure, but it provides a more personalized vision correction than conventional LASIK. FDA-approved topography-guided LASIK systems include: Contoura Vision with the WaveLight Allegretto Wave Eye-Q Excimer Laser System or the WaveLight EX500 Excimer Laser System (Alcon). Is Custom LASIK Better Than Regular LASIK? In one published report of a multi-center clinical trial of custom LASIK, uncorrected visual acuity (UCVA) at 12 months after surgery was 20/20 or better in 92.7 percent of eyes, 20/16 or better in 68.9 percent, and 20/12.5 or better in 31.6 percent. Compared with the patients' best spectacle-corrected visual acuity (BSCVA) before the procedure, UCVA after custom LASIK was better by one or more lines on an eye chart in 29.6 percent of eyes and equal to or better than pre-operative BSCVA in 60.3 percent. But many factors should be considered — including your eyeglasses prescription, the thickness of your cornea, your current satisfaction with your vision with glasses, how critical you are about the quality of your visual acuity, your visual needs, and your budget. 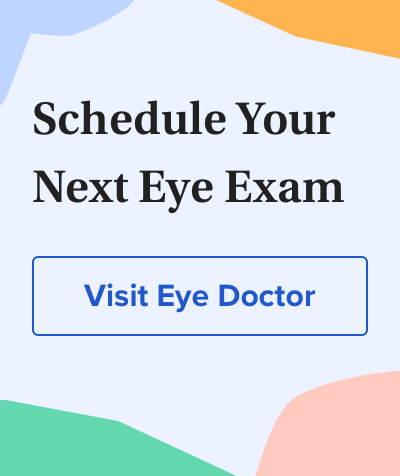 During your pre-op exam and consultation, your eye doctor and/or LASIK surgeon can better inform you about your specific needs and whether you are likely to notice significantly better vision with custom LASIK compared with regular LASIK. Also, your surgeon will be able to explain which type of custom LASIK technology he or she prefers and the visual outcomes patients with refractive errors similar to yours have attained with that technology. It's difficult to state the cost of LASIK and other laser vision correction surgery accurately, because prices can vary significantly in different regions of the country and the type of facility where you choose to have your procedure performed. to create the LASIK flap; etc. Now that you have the basics about custom wavefront LASIK (and topography-guided LASIK), the next step is to find out if you are a good candidate for LASIK surgery. For a definitive answer, schedule a pre-operative exam and consultation with an experienced refractive eye surgeon near you. After your doctor has had a chance to examine your eyes and analyze the results of all measurements performed at this visit, he or she will be able to tell you with certainty whether you are a good candidate for laser vision correction and give you more details about the best procedure for your needs and the exact costs involved. Topography-guided procedure raises the bar in laser vision correction outcomes. Ophthalmology Times. February 2016.